Along with greasy-diner choices, you will likely find a number of standard Greek dishes to choose from such as gyros, Greek salad, spinach pie (spanakopita – my favorite!) and baklava but, what you really come for is the coney dog. These are not simply chili dogs. They are natural casing hot dogs smothered in a beanless chili that is often made from secret recipes that are passed down from generation to generation. Add to that some diced onion and yellow mustard and you have yourself a coney dog my friend. 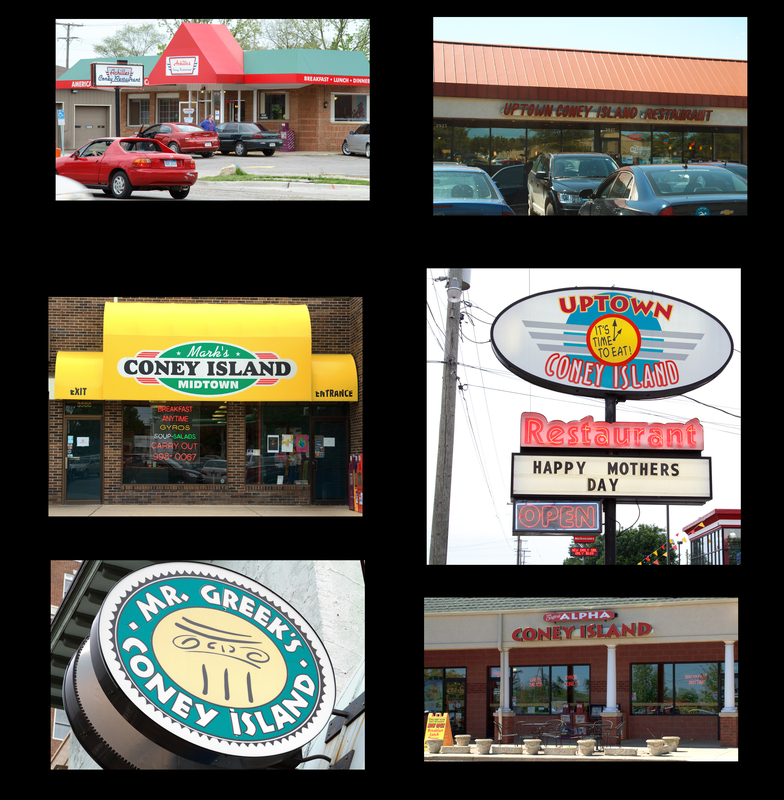 These were just a few Coney Islands that were in the area around Ann Arbor and Chelsea. I did not get down to Detroit to photograph some of the famous sites such as American Coney Island or Lafayette Coney Island but, they’re on my bucket list and you can bet I’m gonna stuff my face while I’m there!